In the summer, a huge problem – not only for riders – is the amount of insects. Insects usually appear late in the afternoon and evening, and bother mostly your horses that are not capable of defending themselves. Which is why, especially in the summer time, you should help your horse fight the insects. 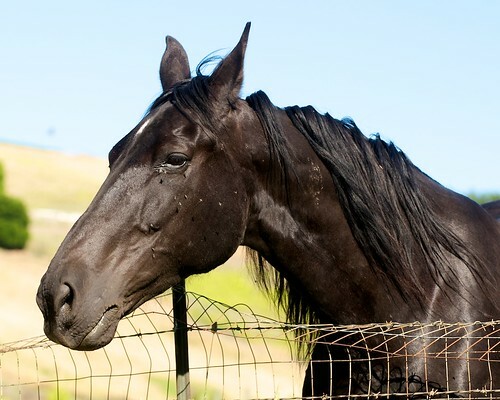 There are some efficient ways that can help you in this fight and bring your horses relief. First of all, you need to take care of your horse’s hygiene. Dried mud along with sweat consist a very alluring mixture for flies and mosquitos. Which is why you need to thoroughly clean your horse and brush his hair. You can use insect-repelling shampoo for washing your horse. While speaking about hygiene, we have to mention that the horse’s stall and generally the whole stable must be kept clean. You should regularly clean your horses’ stalls and manage from feces and conduct a disinfection of these places. Such activities will allow you to decrease the amount of insects and growth of contagiums. While letting your horse out on a paddock late in the afternoon, you should put a mesh rug on him. A good equestrian shop should offer such rugs with a special cut for saddle, so your horse can also wear it during trainings. 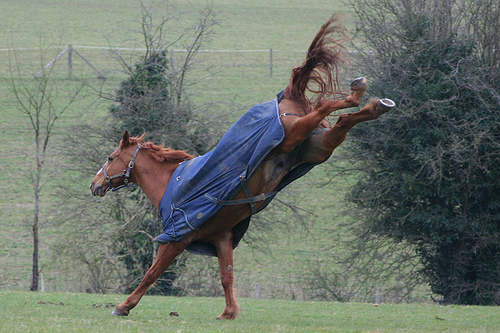 Insects usually aim for the most delicate parts of your horse’s body, i.e. eyes, nostrils and ears. That is why it is good to let your horse have a little longer mane that will allow him to shoo the insects away from his eyes. You can also put special fringe on him that will help him do so. For his muzzle’s protection you can use an insect mask. Such mask will protect both your horse’s eyes and ears. If you don’t want to cover your horse’s ears, you can buy a fly hat. Rugs that cover most of the horse’s body along with his ears and eyes are also available. In order to fully protect your steed against insects, you should buy an insect repellant and regularly spray your horse with it. Remember that none of the home remedies such as using vinegar or various oils are not as efficient as specifics available in a professional equestrian shop. You may also consider paddocking your horse early in the morning, since there are far less insects at that time, and if you still decide to let your horse out late in the afternoon, remember to use the aforementioned means of protection against insects. If you want to ride, do not forget to use insect repellants on yourself. 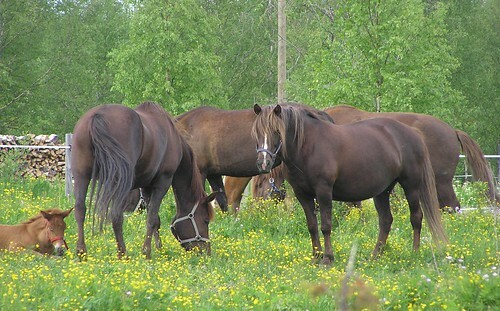 That will guarantee that the ride will be more pleasurable both for you and your horse.